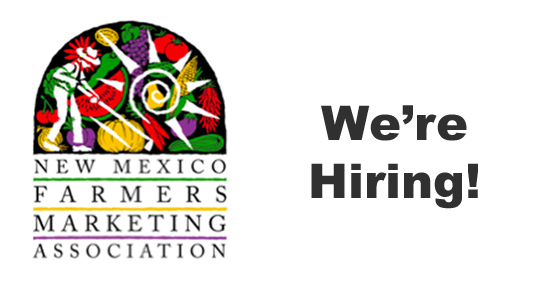 The New Mexico Farmers’ Marketing Association (NMFMA) is a non-profit educational organization founded in 1994 that is dedicated to strengthening the local food system by supporting agriculture producers and cultivating strong networks for a healthier New Mexico. We envision a food system where farmers earn a fair price for their products, and where fresh, healthy, culturally appropriate food is available and affordable for everyone. The Outreach and Community Health Coordinatoris a key member of the NMFMA’s team. A significant portion of the job is administrative, but there is room for creative thinking, problem solving, and field work in communities across the state. The successful candidate will work with a diverse group of external partners as well as provide key internal support. The ideal candidate will be bilingual and enjoy utilizing technology tools for outreach; coordinating communications projects, organizing trainings and events; connecting with and educating community groups; and working within a vibrant non-profit environment. HOW TO APPLY: Send a cover letter and resume to: questions@farmersmarketsnm.orgwith “Outreach and Community Health” in the subject line.